Allows store visitors to access complete item detail information (image, price, description, etc) by hovering the mouse over the product thumbnails on section pages without actually leaving the section page. Increase conversion and add sophistication to your site. With this feature, you can dramatically speed up the shopping experience for your store visitors. They can review the products right on the section pages. No more going back and forth between the item detail page and the section pages! Easier navigation means quicker purchase decision and more sales. 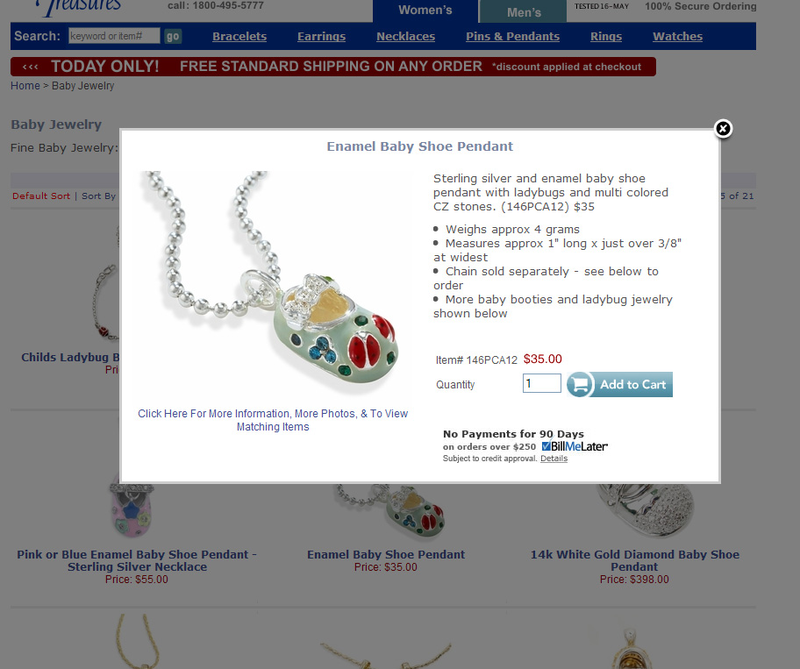 Visit www.heavenlytreasures.com for a working example.